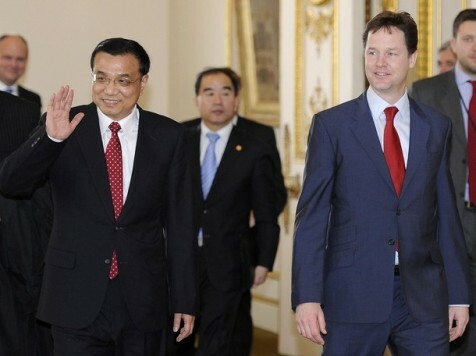 London, Jan 11 (KATAKAMI / DPM.CabinetOffice.Gov.UK) — Deputy Prime Minister Nick Clegg has welcomed Chinese Vice-Premier Li Keqiang to London following his visit to Edinburgh yesterday. 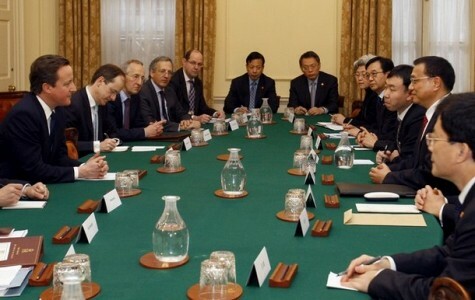 Official talks took place at Lancaster House, after which the Deputy PM and Vice Premier Li witnessed the signing of agreements with an estimated value of £2.6 billion, which will further strengthen ties with China. The talks covered global issues including international security and climate change in which the UK and China work closely together. Co-operation on conservation and culture were also on the agenda, with China agreeing to gift a breeding pair of giant pandas to Edinburgh Zoo for ten years. The arrival of Tian Tian and Yuangguang will boost research, conservation and tourism in Scotland and the UK. 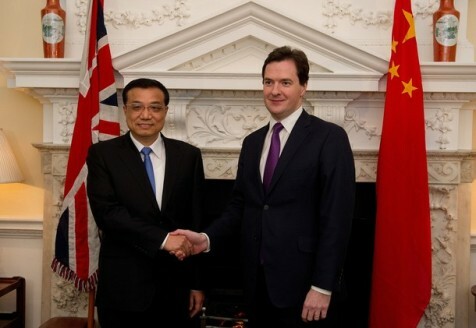 It is a pleasure to welcome Vice-Premier Li and the accompanying Chinese delegation to the UK. We had successful talks covering a range of issues, and we witnessed the signing of a number of agreements, including commercial deals with an estimated contract value of at least £2.6 billion. “This week’s visits, and the agreements we have seen today, follow the Prime Minister’s successful delegation to China in November, demonstrating the momentum we are building together towards even stronger relations. The kind gift of a loan of a breeding pair of giant pandas, Tian Tian and Yuangguang, is a sign that we can co-operate closely on a broad range of environmental and cultural issues, as well as commerce. This commitment to sales in China in 2011 of some 40,000 Jaguar and Land Rover vehicles with a value in excess of £1 billion not only signals the acceleration of our growth plans but also reflects both the importance of the Chinese market to Jaguar Land Rover and our value to the UK economy. BP and the China National Offshore Oil Corporation signed an agreement on deepwater exploration in the South China Sea. We look forward to the success of this joint venture with the China National Petroleum Company. The agreement will further investment in our refineries, in France and the UK, ensuring their competitiveness in European markets, and securing jobs and skills in the UK and France. It will be hugely beneficial. Here in the UK, its success at our Grangemouth site will directly support 1,400 jobs at the site and indirectly around 7,000 jobs in central Scotland. We also look forward to mutual benefit in China through our agreement on technology sharing. 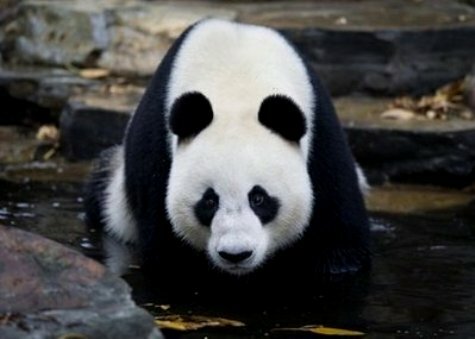 An agreement was signed on the terms of cooperation in the protection of and research into Giant Pandas between the Royal Zoological Society of Scotland (RZSS) and the China Wildlife Conservation Association (CWCA). The Department for Energy and Climate Change (DECC) and the National Development and Reform Commission (NDRC) signed a memorandum of understanding on co-operation on low carbon. The Office of Fair Trading (OFT) and the NDRC signed a memorandum of understanding on co-operation. 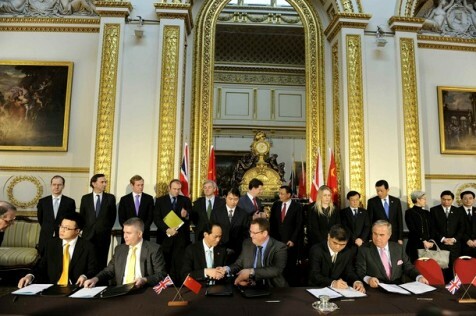 UK Trade & Investment (UKTI) and the China Development Bank (CDB) signed a memorandum of understanding on co-operation. BP and the China National Offshore Oil Corporation (CNOOC) signed an agreement. INEOS Group and the China National Petroleum Corporation (CNPC) signed a framework agreement. INEOS Group and China National Petroleum Corporation (CNPC) signed a strategic partnership deal. Jaguar Land Rover and Jaguar Land Rover Automotive Trading (Shanghai) signed a letter of intent. The China-Britain Business Council (CBBC) and the China Chamber of Commerce for the Import and Export of Machinery and Electronic Products (CCCME) signed a memorandum of understanding on co-operation. Zodiac Maritime Agencies Ltd. and the Export and Import Bank of China signed an agreement. The China Development Bank and HSBC signed a memorandum of understanding. The China-Britain Business Council (CBBC), Beijing International Brand Management Centre and Beijing Chaoyang District signed a memorandum of understanding. A cooperation agreement was signed between China Nonferrous Metals International Mining (CNMIM) and Kryso Resources plc (UK). Soho Data Holdings Company Ltd and Xiking Culture Centre Media Beijing Company Ltd signed an investment agreement for the Soho Data Centre project. LONDON, Jan 11 (KATAKAMI / AFP) – Britain and China have signed trade deals worth £2.6 billion and announced Beijing will loan a pair of giant pandas to Edinburgh Zoo for 10 years. 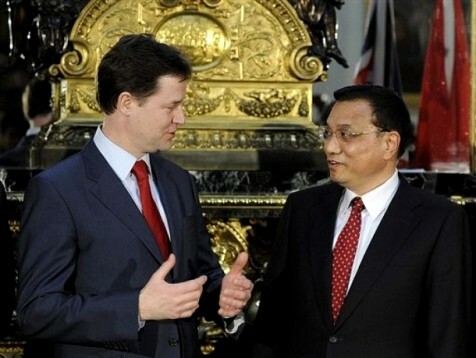 The agreements were inked during talks in London between Chinese Vice Premier Li Keqiang and Deputy Prime Minister Nick Clegg. 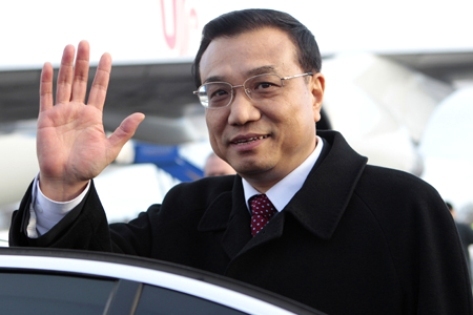 Britain has rolled out the red carpet for Li, who is widely tipped to become Chinese premier next year, as it scrambles to catch up with European rivals Germany and France in landing business deals with booming China. 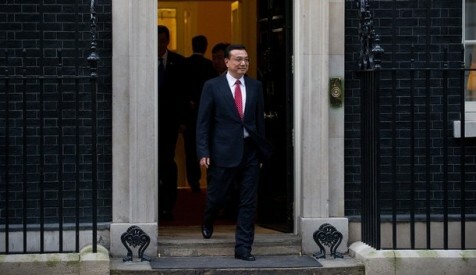 On the second day of his visit to Britain on Monday, Li also held talks with Prime Minister David Cameron. On Tuesday he will receive a royal welcome from Prince Andrew, the Duke of York, and will make a speech at a banquet organised by the British Council. The trade agreements include a commitment by Jaguar Land Rover to increase sales of vehicles in China to the 40,000 mark this year in a deal which the automaker said was worth Â£1bln. “We had successful talks covering a range of issues, and we witnessed the signing of a number of agreements, including commercial deals with an estimated contract value of at least 2.6 billion pounds,” Clegg said. In other deals, BP and the China National Offshore Oil Corporation signed an agreement on deepwater exploration in the South China Sea. Petro-chemical group INEOS agreed to work more closely with China National Petroleum Corporation, which the British company said would lead to increased investment in its refineries in Britain and France. The talks also covered international security and climate change “in which the UK and China work closely together”, a British government statement said. It was also announced that China will loan a breeding pair of giant pandas — named Tian Tian and Yuangguang, which translates to Sweetie and Sunshine — to Edinburgh Zoo in Scotland for 10 years. The pair, born in 2003, will be the first pandas in Britain for 17 years and the move “will boost research, conservation and tourism in Scotland and the UK”, the statement said. The project is the result of five years of high-level political and diplomatic negotiation. “Pandas are a Chinese national treasure. 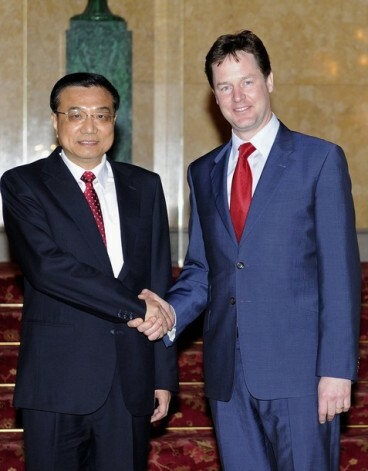 This historical agreement is a gift to the people of the UK from China,” said Chinese ambassador Liu Xiaoming. Li has already visited Spain and Germany on his European visit, accompanied by a 150-strong business and political delegation. Writing in the Financial Times on Monday, he said the world should not fear a rapidly growing China. Li added that “reform and opening-up are the driving forces behind our development”, but warned that “China’s development will not be possible without the world — and world development needs China”. The visit follows Cameron’s trip to China in November, when he was the first Western leader to visit the country since the Nobel Peace Prize was awarded to jailed Chinese dissident Liu Xiaobo. 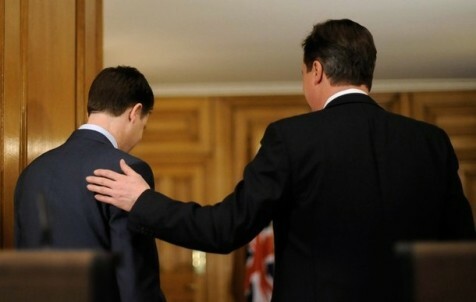 Deputy premier Clegg has insisted that “no subject will be off limits” during the talks in the four-day British visit. 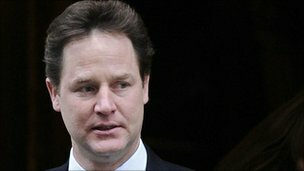 December 29, 2010 (KATAKAMI / BBC) — Nick Clegg says his party has faced “testing times” in a message aimed at calming grassroots Lib Dem concerns. 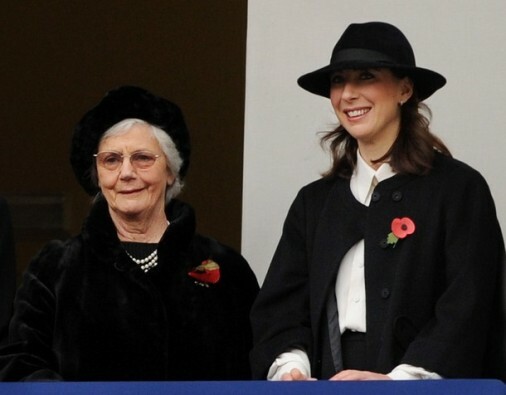 In his New Year message to members, the deputy prime minister pledged to start 2011 with action on social mobility, civil liberties and the environment. 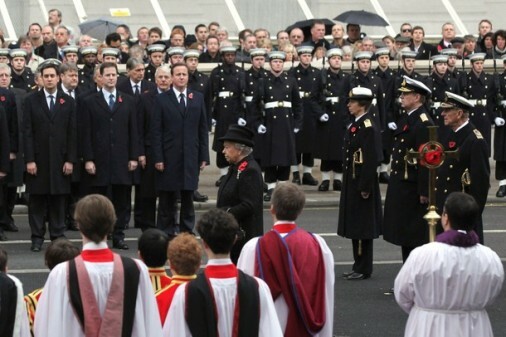 He also launched a renewed defence of the decision to break a pledge to oppose rises in student tuition fees. And he insists he had delivered on “every single one and more” of the party’s general election priorities. In the message, sent from Spain, where he is celebrating Christmas with his wife Miriam’s family, he told the Liberal Democrat membership: “Well, what a year! A white-knuckle election; a new coalition government; Liberals in power for the first time in 70 years. He went on: “I don’t want to pretend it has all been easy. These are testing times for the country and for our party too. Action to tackle the deficit, and the need to reform higher education, have forced us to take some incredibly difficult decisions. He says the decision to almost treble tuition fees, which saw the party break a pre-election pledge, was needed to retain “world-class” universities and protect poorer students. And he says backing the Conservatives’ package of public spending cuts would “make sure future generations are not saddled with the burden of our debt”. “And by showing people that [the] coalition can work, we can prove that plural, liberal politics is best for Britain,” he told them. He says he will start the year by concentrating on “three big changes” in addition to campaigning for a “yes” vote in May’s referendum on changing the Westminster voting system to AV – a key concession won in the coalition negotiations. He concluded: “All of us are going to hear some people predict the worst for our party. The same people who have been underestimating the Liberal Democrats for as long as we have existed. Well what a year! A white-knuckle election; a new coalition government; Liberals in power for the first time in 70 years. Just eight months ago we were campaigning on our four big manifesto priorities – fairer taxes; extra money for disadvantaged children in schools; a green, rebalanced economy; a new, open politics. And now we are delivering on every single one, and more. From taking over 800,000 people on low pay out of paying income tax altogether, to restoring the earnings link for pensioners, from delivering the pupil premium in full by the end of this parliament to scrapping ID cards, from stopping the new runway at Heathrow to clamping down on industrial scale tax avoidance, and ending child detention, Liberal Democrats are making the difference for the people of Britain. I don’t want to pretend it has all been easy. These are testing times for the country and for our Party too. Action to tackle the deficit, and the need to reform higher education, have forced us to take some incredibly difficult decisions. But that is Government. And when we promised people that we were ready to govern, that is the commitment we made. I genuinely believe that the choices we are making will stand the test of time. By dealing with the deficit, we’ll make sure future generations are not saddled with the burden of our debt. By changing the way universities are funded we are keeping them world class while at the same time giving disadvantaged young people more opportunity to go into university, not less. 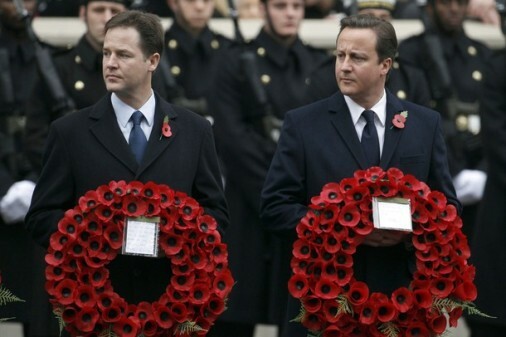 And by showing people that coalition can work, we can prove that plural, liberal politics is best for Britain. In the New Year I’ll be concentrating on three big changes: radical reform of our political system and restoring our hard-won civil liberties; boosting social mobility so that no child is held back by the circumstances of his or her birth; and making sure the economic recovery is green and balanced, with opportunities spread across the whole country. And I, like you, will be out campaigning for a fairer voting system to make MPs work harder for your vote. All of us are going to hear some people predict the worst for our Party. The same people who have been underestimating the Liberal Democrats for as long as we have existed. But we prove them wrong at every single turn. The next twelve months will be no different, because we will continue to build the Liberal, fairer, greener Britain that we all believe in. 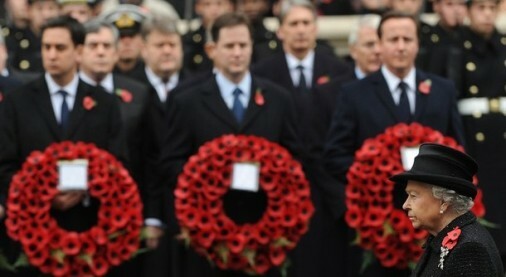 December 21, 2010 (KATAKAMI / NUMBER10.GOV.UK) — The PM and Deputy PM have held a joint press conference in Number 10 ahead of the Christmas recess.Mr Cameron and Mr Clegg began by thanking troops serving in Afghanistan for everything they are doing and sending them and their families Christmas wishes. 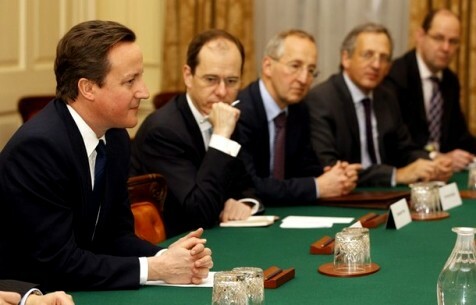 The PM also gave an update on government action following the coldest December in over 100 years. He said Cabinet had discussed the widespread travel chaos “extensively” on Tuesday and that the Ministerial Resilience Team, led by the Transport Secretary Phil Hammond, was meeting regularly. Discussing the economy, they said the Coalition Government was on the right track and that next year would be “rigorously focused on growth and job creation”. 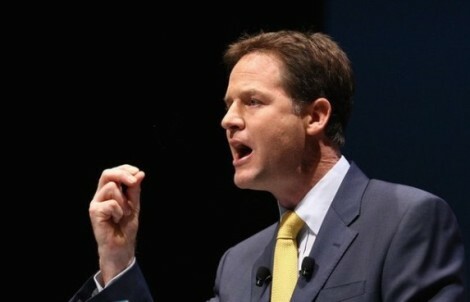 Mr Clegg said the Coalition had achieved a great deal this year tackling the deficit. He said he believed ”we’ll fix the economy and build a better future”. The Deputy PM also said they had made a good start on their far-reaching programme to rebuild British society so that it is “open, liberal, socially mobile”. Let me start by wishing you all a Merry Christmas. 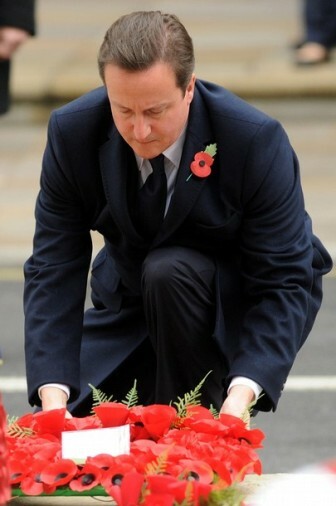 And can I add my voice to what David said about our brave troops. 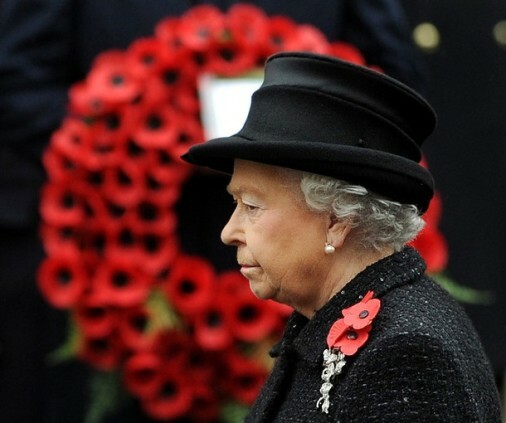 The sacrifice they and their families make is felt more sharply at this time of year than any other, and we thank them for everything they do. 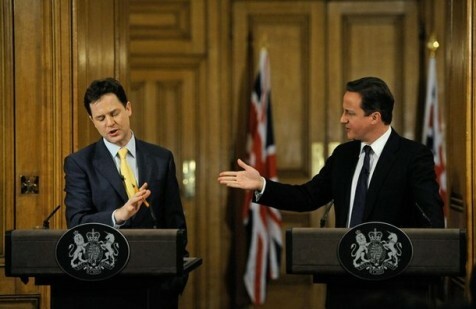 The Coalition Government has achieved a huge amount in a short space of time. Clearly our greatest challenge is tackling the deficit and returning our economy to health, and we are taking the difficult steps needed to do that. But, Labour didn’t just leave us a fiscal mess; they left us a social crisis as well: a country where your chances in life are still too determined by the circumstances of your birth. Just as we did not flinch – and we will not flinch – from taking the action needed to fix the economy, we will not back down from doing what it takes to address the deep unfairness in our society either. It is easy to say that all this Government is about is cuts. But it is wrong. We have begun a far-reaching programme to rebuild British society so that it is open, liberal, socially mobile. So that people who want to get ahead in life can get ahead, regardless of the circumstances of their birth. So that people who want the best for themselves and their children can be sure that Government is on their side. That’s the ambition driving our changes. That’s why we’re providing a £2.5bn pupil premium, targeted at the most disadvantaged children, as well as funding the childcare needed to help give 2, 3 and 4 year olds the best possible start in life. It’s why we’re overhauling our welfare system – to get people into work. And why we’re raising the income tax personal allowance – to make sure work pays. From April 880,000 people on low incomes will stop paying income tax altogether, with more to follow. And it’s why our changes to higher education, though controversial, will make it easier and cheaper, not more expensive, for bright people from poorer backgrounds to go to university. But we also know that to make our plan work – to really help people get ahead – Government must stop constantly telling them what to do. So from schools, to hospitals, to planning – we’re taking power away from Whitehall and handing it back to individuals, back to families, back to neighbourhoods. Self-confident Government that trusts people, instead of Labour’s insistence that “Government always knows best”. It’s a big project; it won’t happen overnight; and, we know the year ahead, and the years after that, won’t always be easy. But we believe that our decisions will stand the test of time, and that we are on course to fix the economy, while building a better country. We’re also confounding the fears about coalition. The idea that parties working together would cause paralysis and stagnation has quietly bitten the dust. In fact, now the complaint from some is that we’re doing too much, not too little. When we talk about the New Politics, we’re actually talking about a very old idea: that people who disagree can have honest and frank discussions, and reach a conclusion they can both support. In most walks of life, that’s an unremarkable idea. I hope it won’t be too long before it catches on in Westminster too. Next year, during the referendum on voting reform, the Prime Minister and I will even show how you can politely disagree in public.